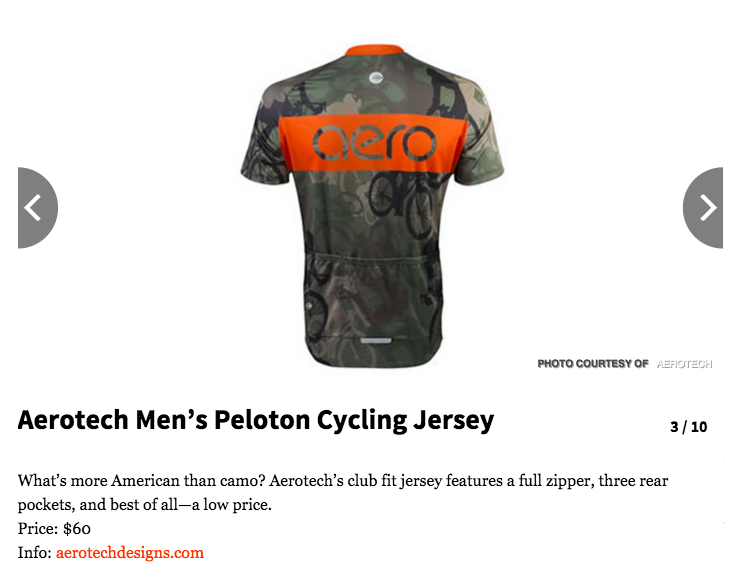 Bicycling Magazine just wrote a great article about American made cycling gear, which is something that we have a passion for here at RoadBicycleAccessories.com. 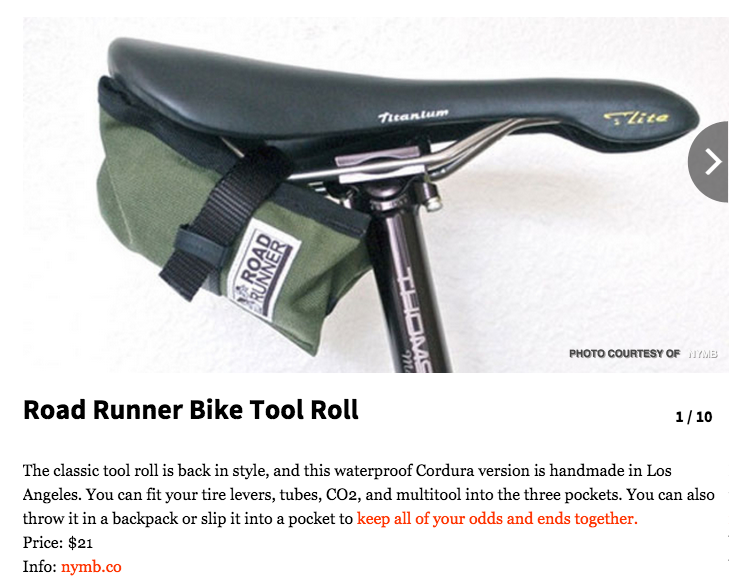 The article goes over the top 10 American made cycling accessories for under $175. Here are a few of our favorites from the list! A sweet american made cycling tool roll that we’ve written about before. A great inexpensive jersey that is full featured with 3 rear pockets and a full zipper. 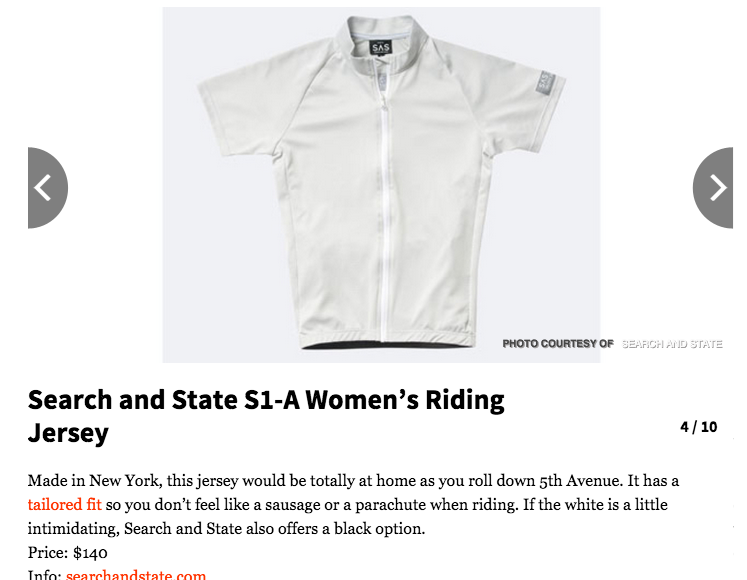 Available in Black as well as white, this women’s jersey is made in New York, and you know we love that. 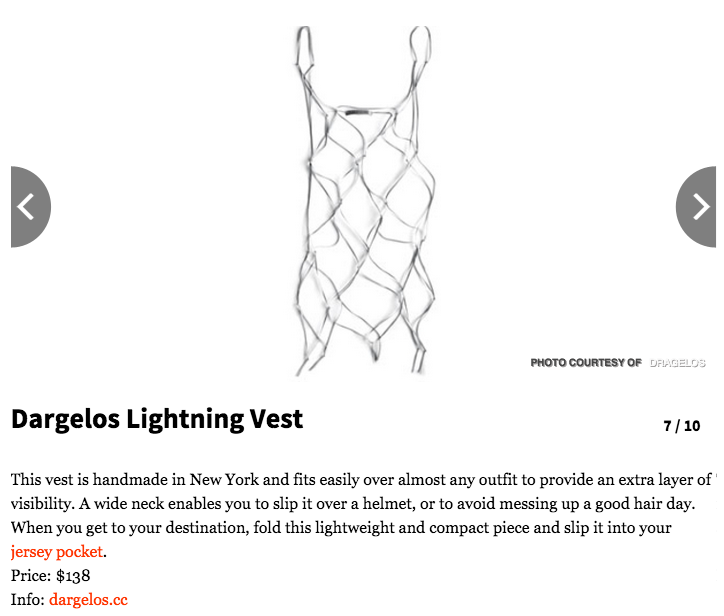 The Dargelos reflective vest is quickly becoming a favorite. This is a great accessory to keep you visible on any long ride or bike commute. It doesn’t get much cooler than this. Get rid of your multitool and keep all of your tool necessities on a key chain. 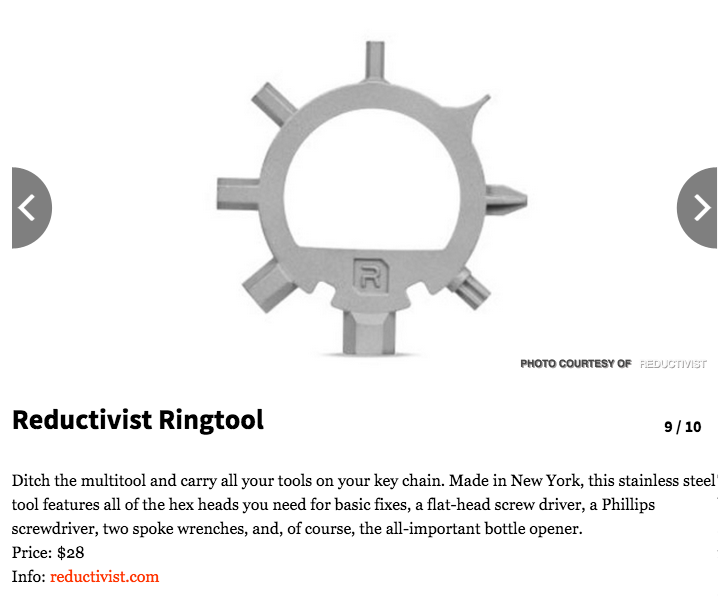 These are such awesome accessories made in America and NYC that we just can’t get enough of. Hope you enjoyed this article, and be sure to read the full list at Bicycling Mag! It’s pretty awesome to bike to work. In fact, cycling to work is growing across the United States and the world, and cities are finally starting to learn that investing in cycling infrastructure is worth the time, effort, and money. Even cities as busy as New York City are starting to get the point and pony up to build protect bike lanes, paint sharrows, get bike share programs, and more to encourage people to bike in the city. There are many reasons to bike to work. Just ask the League of American Bicyclists. They’re all about bike month…or so I hear. These are a few of the reasons we came up with to bike to work on bike to work day, week, month, and all year! You may even be inspired to bike as much as this guy. It’s fun -> skip the traffic! It’s an excuse to buy cool stuff for your bike! Originally I’m from New York, but the last 2 years I’ve been in San Francisco, and in weather like this and in a city so accessible, there is no excuse! You can get anywhere in the city by bike in 30 minutes, you don’t need a change of clothes, and you don’t need to sit on the MUNI or BART. It’s awesome. Let us know: why do you bike to work? Or why are you thinking about it? There are a lot of great reasons, so just pick one and go for it! These accessory pouches are used as you can probably tell on your waist. You can carry these bags on your belt, and are often sold with a belt as a part of the bag itself. These are convenient because they are kept right by your side, and are easy to open and close with one hand. Another example of an accessory pack for cyclists would be the cell phone pouch, or messenger bag cell phone holder. These types of bags are made by companies like Chrome, Timbuk2, Road Runner Bags, Mer Bags, and Missions Workshop. You want to look for bags that are waterproof, and constructed well. Here at RBA we like to look for locally made or USA made bike gear, and there is a good list here of many awesome brands in The States: https://joecruz.wordpress.com/usa-made-cycling-gear/. 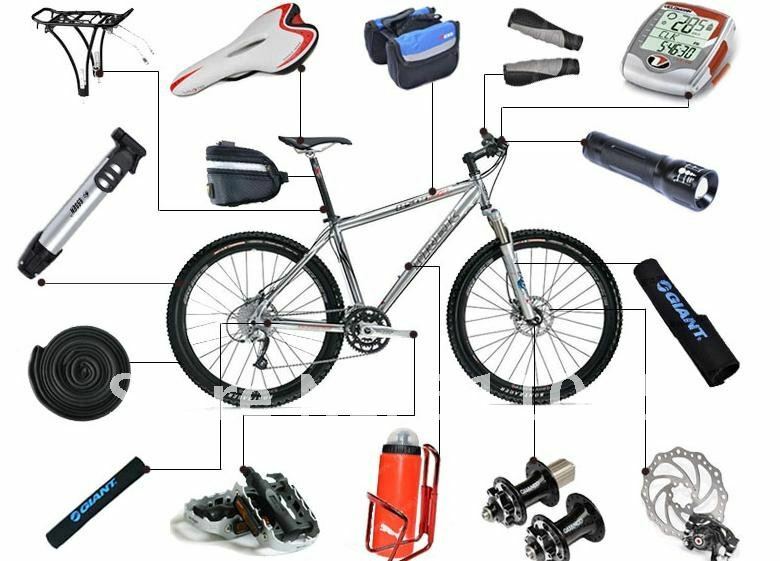 Hope you’ve found this article helpful, and we’ll have a new one coming soon on some great new cycling gear!